Firstly there were curves upon curves! Shapes were soft and round with nary a sharp corner or straight line in sight. 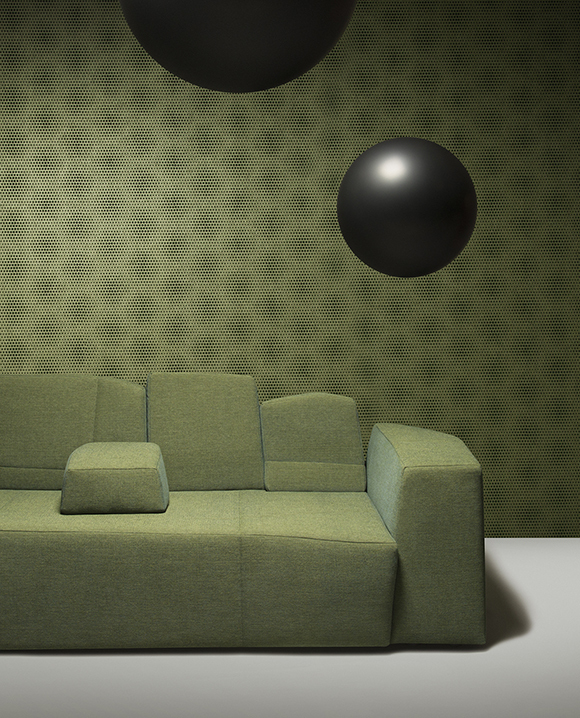 This created a very opulent look with a nod to Arte Deco and 1970's shapes. 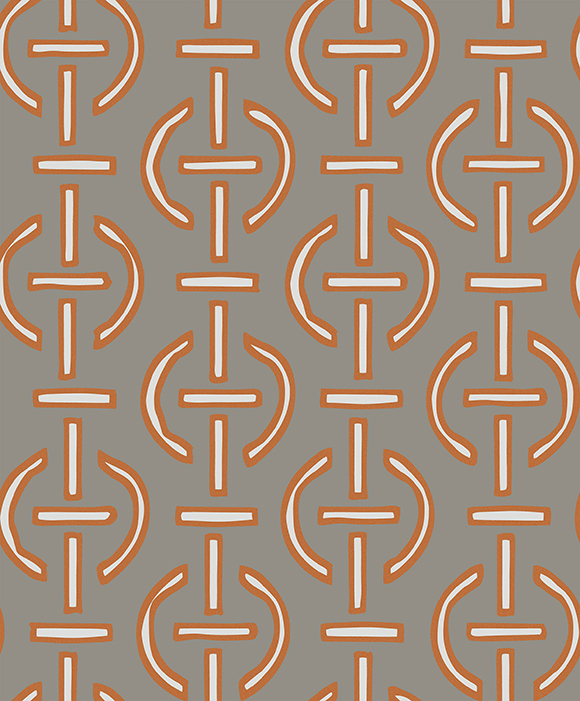 There was also a lot of contrast piping between rolled sections. Many upholstered pieces were plain at the front with detailing at the back or sides. 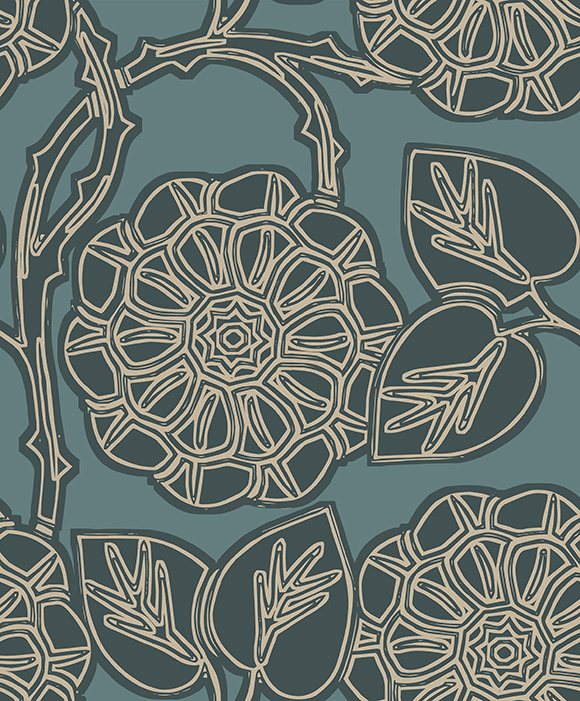 They were often quilted, embossed or embroidered, cutout or studded - many were very sculptural. 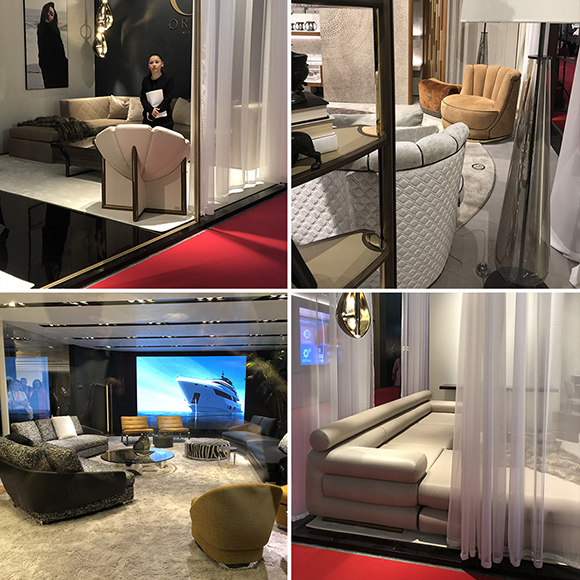 Much of the furniture was on legs, of all descriptions: turned wood, brass and fabric covered. Pieces that extended to the floor often had a metal band around the base. Velvet was still big but overshadowed by leather - lots of matte leather, often with a suede finish which is almost 'greasy' to the touch. So another nod to the 70's. 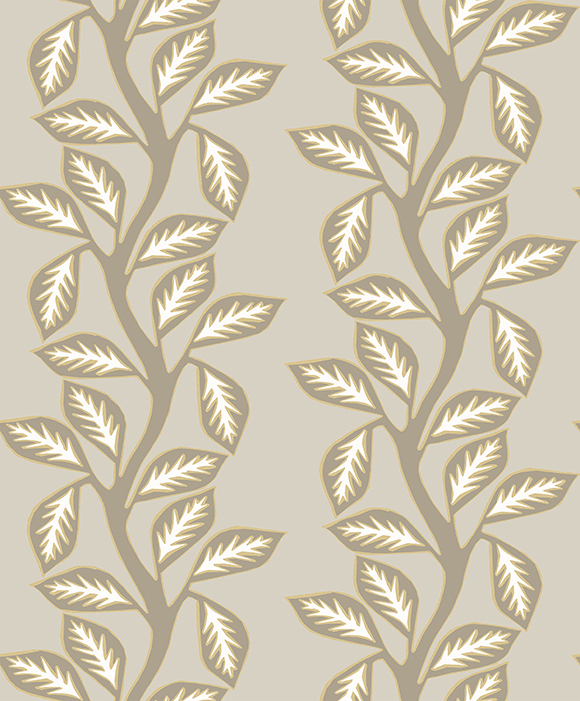 This year the neutral colours were warmer, more of a cashew rather than the grey base in previous years. Colour-wise I saw a lot of petrol/green/aqua tones (see our Bello velvet - right on the mark). Soft cottas were there and a quite strange strong yellow, plum and aubergine. There was still some soft pinks but they were subtle, not a clear 'baby' pink. Woven fabrics were 'structured' using multi colour yarns. 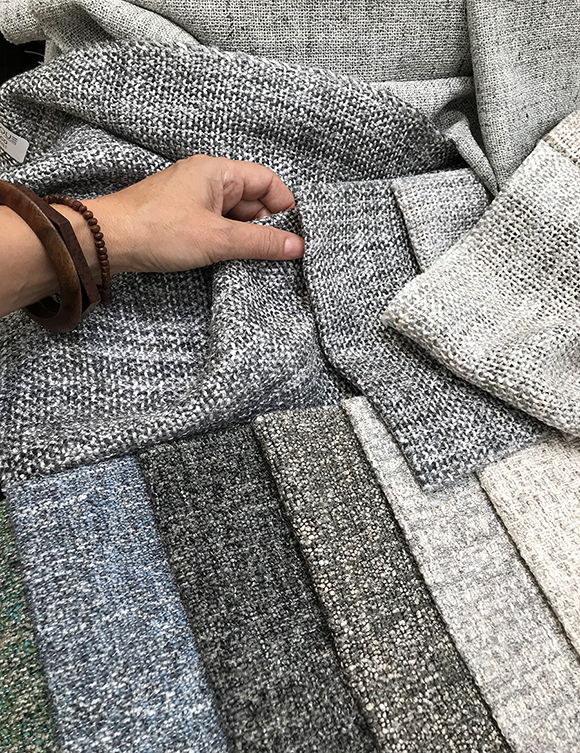 I saw some lovely chunky bouclés and textured tweeds. 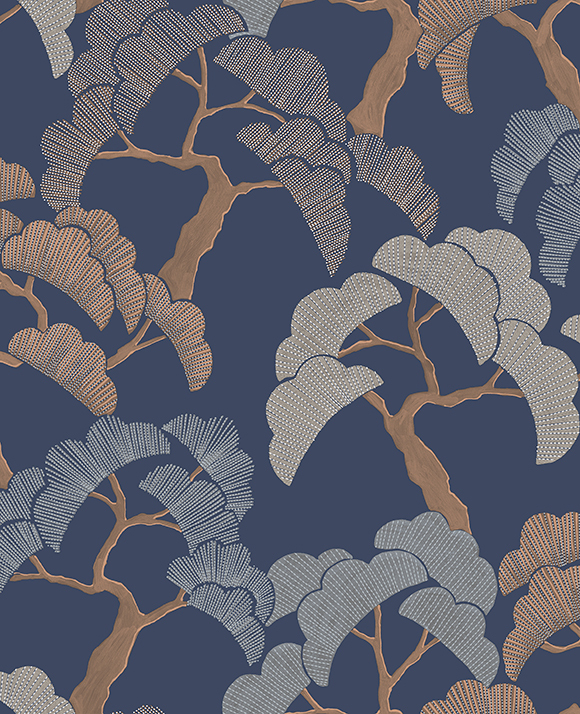 Our Couture and Bonsai is right on trend there. 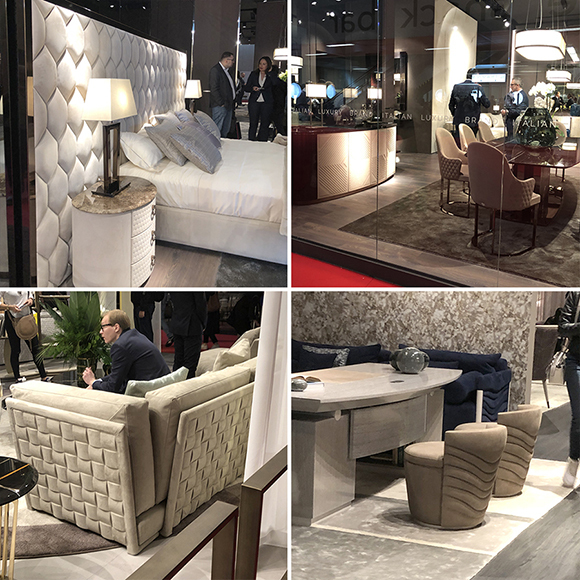 I also spotted a lot of hard furniture, including walk in wardrobes, bed heads and side tables which had upholstered panels. 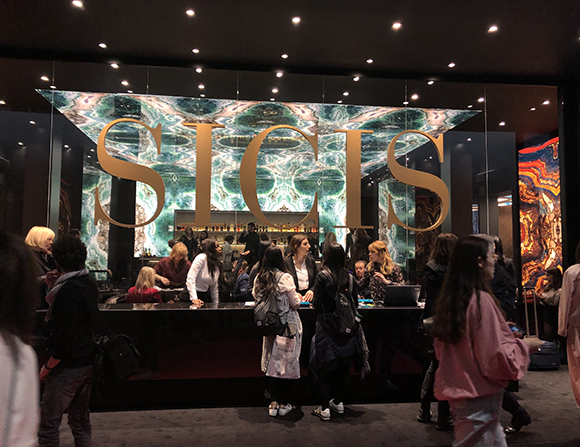 One of the most memorable stands was SICIS. They had absolutely amazing mosaic based designs, digitally printed onto glass then laminated between two layers of glass. Their stand had the back wall and ceiling done - it was incredible! If you want something out there and special this is it. We are now heading to Proposte in Como. We can't wait to see what the mills have on offer this year. Ciao! We're so excited about this... 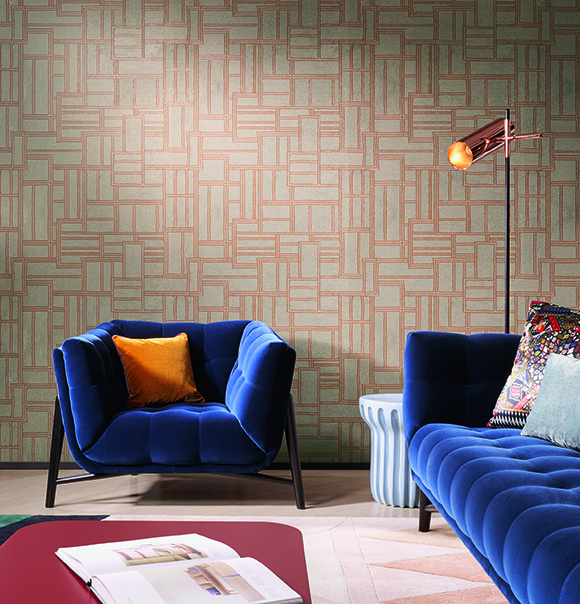 This week we're releasing seven new wallcovering collections: Two from Hooked On Walls and four by Arte Walls as well as new additions to their Contract range. Below is a quick run through of the Arte collections. On Wednesday I will introduce you to Hooked On Wall's offerings. 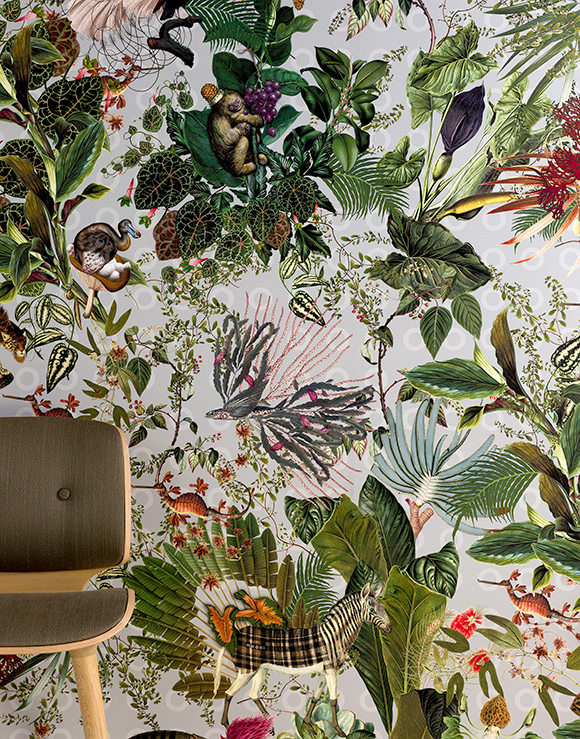 Of course we have to start with Arte's extraordinary collaboration with Moooi - Extinct Animals. This collection has been on the horizon for some time and we're thrilled with the results. It's whimsical, fantastical and full of wonder. 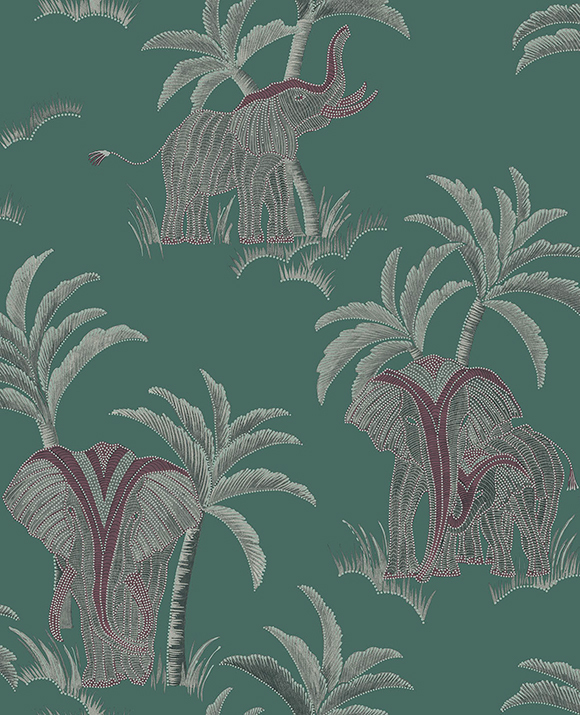 Each pattern is inspired by creatures from their 'Museum of Extinct Animals' and feature striking combinations of colours and patterns reminiscent of fur, plumage or skin. Read the brochure HERE. See the collection page HERE. 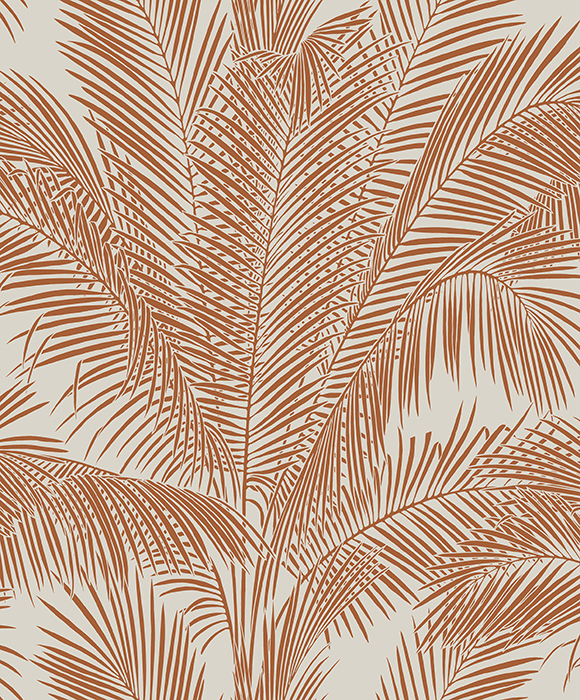 See the Paleo collection page HERE. The Vanguard collection also works a theme with great aplomb. Arte have looked to early modernist movements like Bauhaus and Orphism for inspiration. 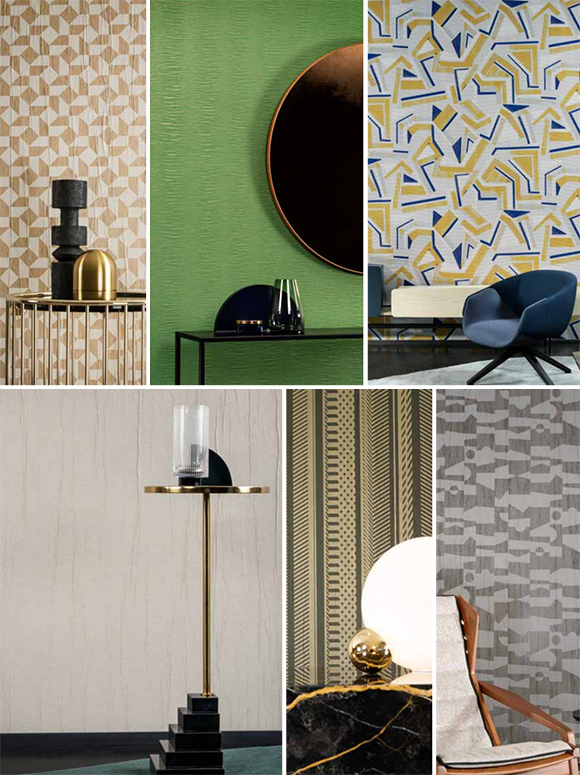 The results are stunning with a bold painterly geomteric design (think Sonya Delaunay - Expressionist), two smaller geometrics (Modernist and Tessella), two folded paper designs (Mira and Plex) and a dynamic stripe (Traverse). See the brochure HERE. Visit the collection page HERE. 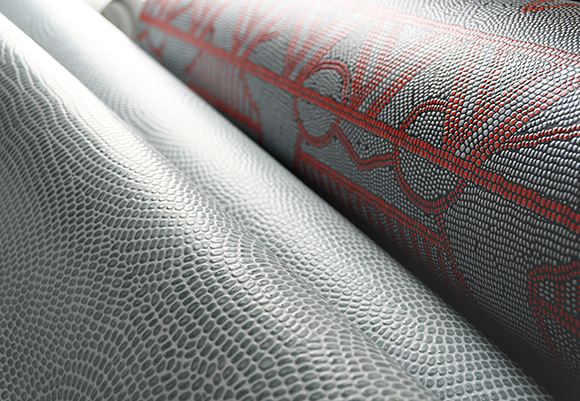 The Atelier collection shows off Arte's technical prowess as they recreate the look and feel of hand-stitched leather, complete with its natural nuances and irregularities. It really does look like pieced-leather patchwork. 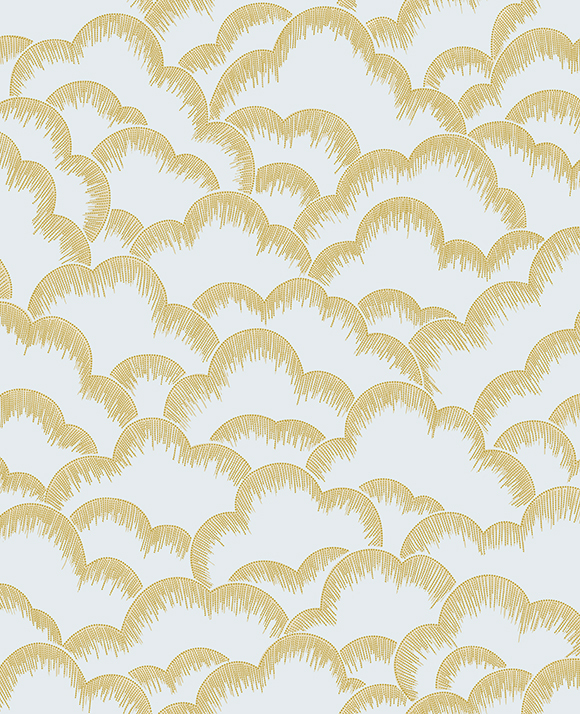 There are several plain options with lovely subtle colour differences (Alma and Campo). They dial up the glamour with Plaza and Cosma. Finally there's Odeon which plays with contrasting colour and curves. HERE is the Brochure. 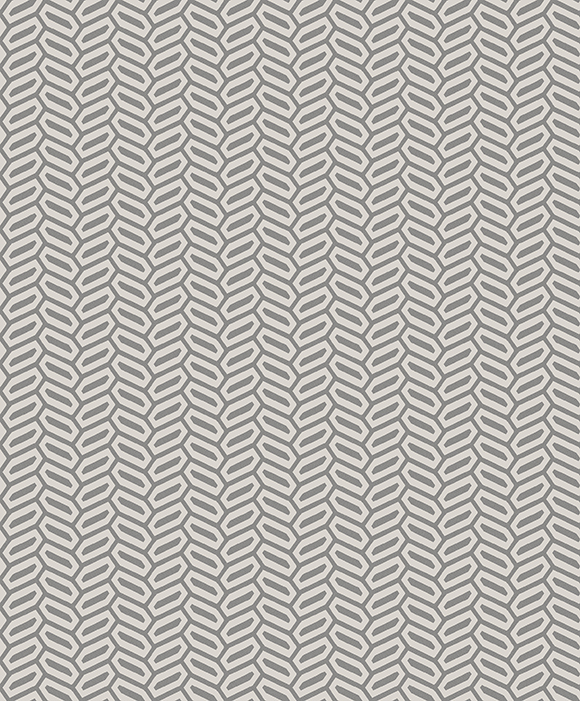 Click HERE to go to the collection. 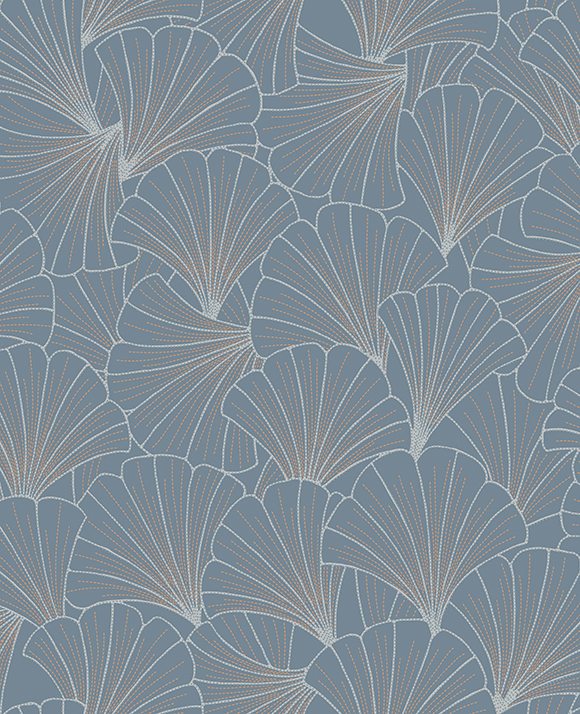 Finally Arte have added four new designs to their Contract range: Cayenne, Corwall, Orion and Stone Rhythm. 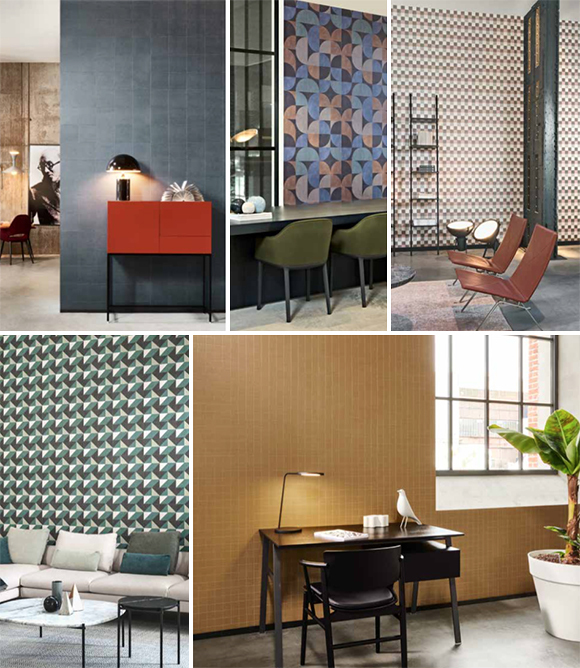 Like all of their Contract series these wallcoverings are designed to withstand the rigors of a commercial environment but look amazing while doing it! 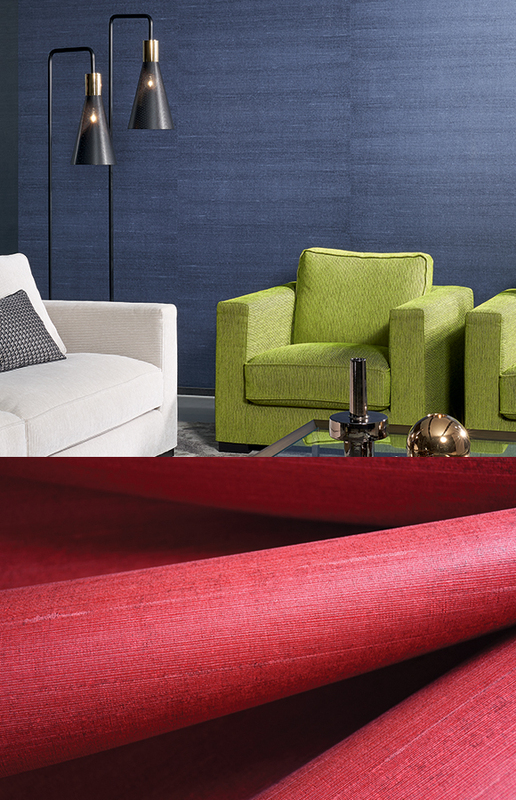 You can see these new collections at our upcoming Open Days: This Wednesday 3 April in Sydney. Brisbane and Melbourne are having theirs on Tuesday 9 April. Stay tuned for the NZ dates. 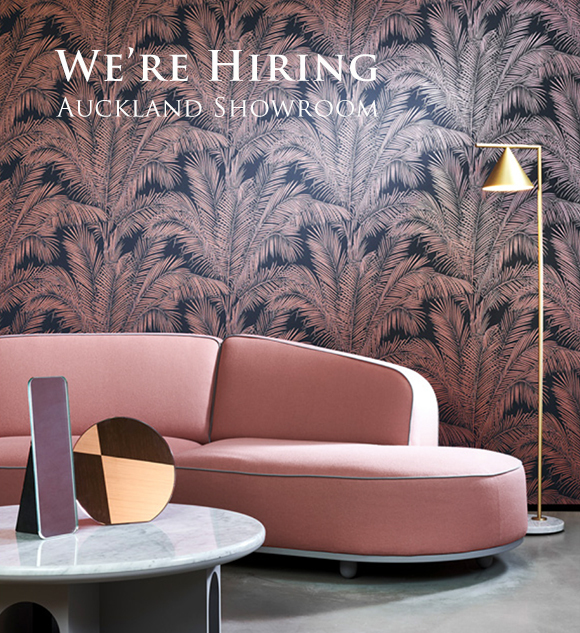 Sadly Beth is leaving Auckland for a new adventure so we're looking for a Showroom Account Manager. 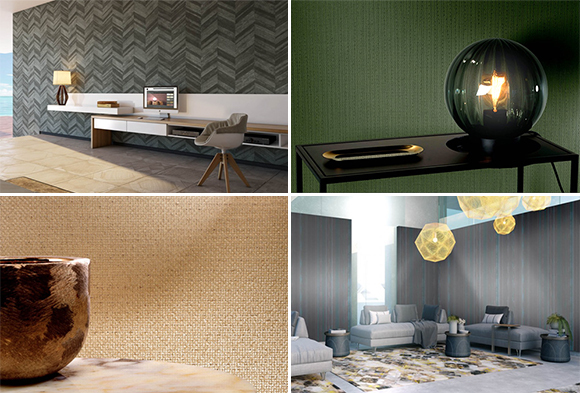 If you love interior design and helping designers find that perfect product then send your CV to Albertha. You will also be supporting other members of the New Zealand Sales team, organizing launch events and managing our Auckland sample library. Click HERE to read more about the scope of the job and the type of person we are looking for. 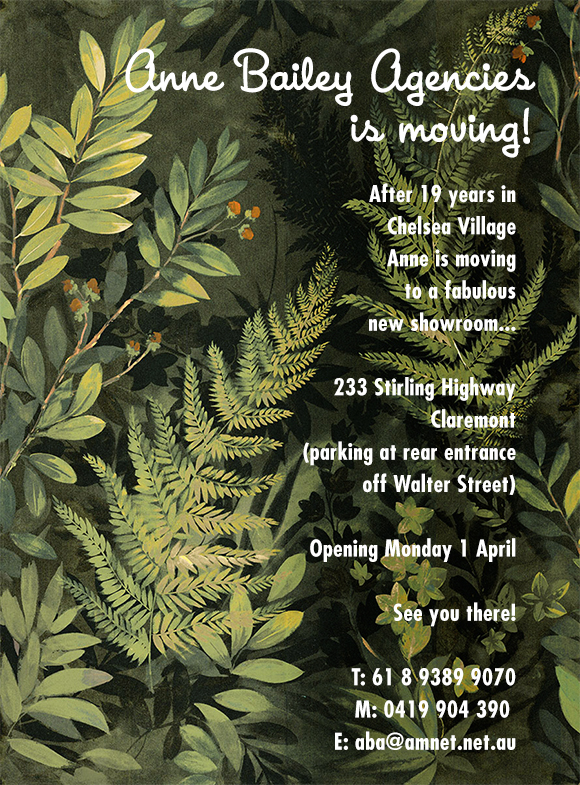 Something for our WA clients... After 19 years in Chelsea Village Anne Bailey is moving to a fabulous new showroom at 233 Stirling Highway, Claremont. 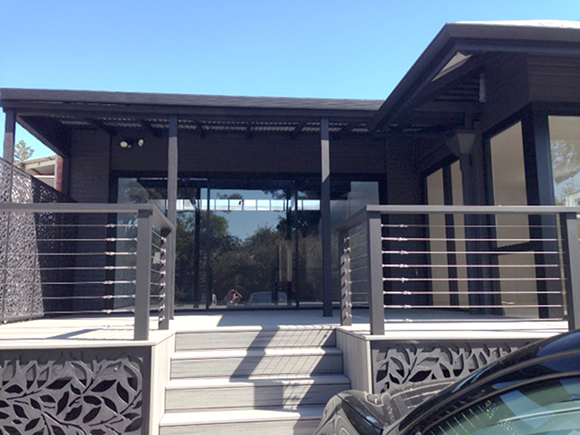 Parking and access to the showroom is via Walter Street. 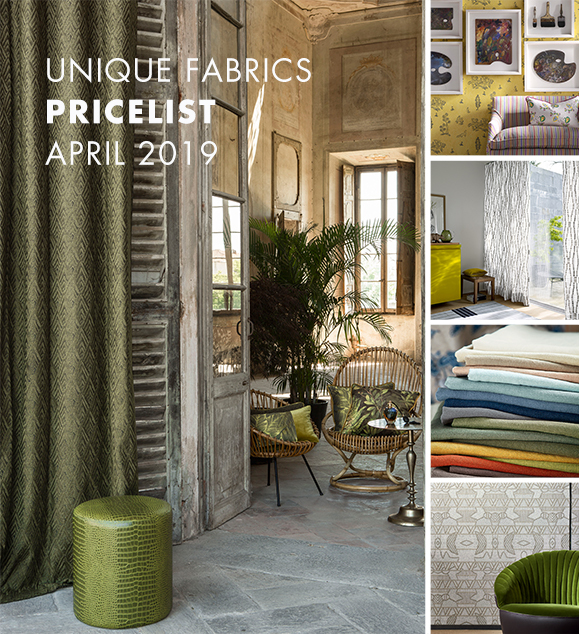 Last week we sent out a heads-up email letting you know about the new Pricelist coming your way this week. It will be effective from Monday 1 April. As usual please be sure to check prices with our Sales Service team or your Unique Account Manger before quoting for future projects. Of course existing orders and orders placed prior to 1 April will be honored at the current price. Some of you may have unsubscribed from our mailout list so will not receive the new pricelist. Again, please contact your Unique Account Manager and they will send you the new pricelist, and/or a link to an online form so you can resubscribe. 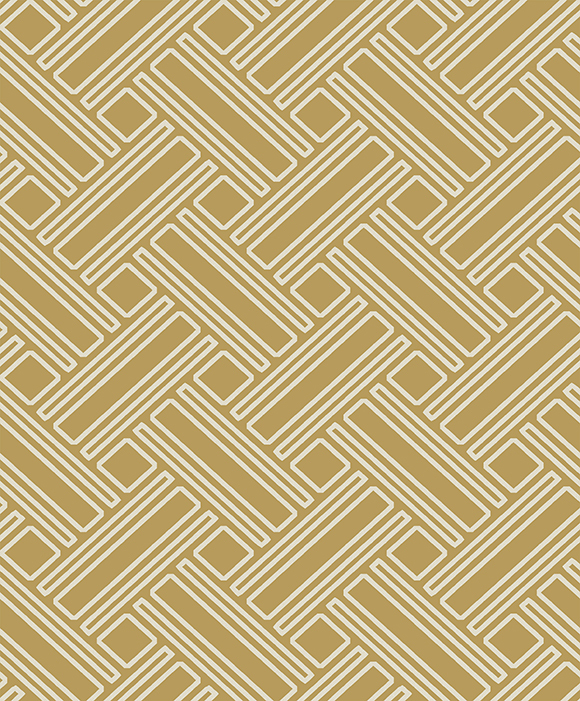 We keep our mailouts to a minimum - just invitations to our events, new pricelists and important news like personnel changes. We'd love to have you back!